The E40 waterway would connect the Baltic Sea to the Black Sea over a length of more than 2 000 km across multiple European countries. It passes through more than 70 valuable natural areas of Poland, Belarus and Ukraine. Here, it provides a habitat for rare species of birds and other animals, floodplain forests and other valuable plant communities. Flat bogs, raised bogs and flood meadows along the waterway are of the great significance for preservation of threatened species. However, the construction of the proposed waterway will likely affect several protected areas, including those with a Ramsar status. Like in Romania, construction work in protected areas is threatening various habitats and species. The river Pripyat flood plains are a unique pan-European location of nesting and migrating swampland bird species, such as black-tailed godwits, aquatic warbler, Eurasian curlew and many others. Some of these areas even play a very important role in the European biodiversity strategy and are the so-called pan-European corridors. This includes the largest flyway across the Republic of Belarus, used annually by over 1,5 million migratory birds. The project “Restoration of the E40 main waterway on the Dnieper-Vistula section: from strategy to planning ” determined the ‘best’ option for restoring the E40 waterway. However, the proposed restorations pose serious harmful environmental consequences. Governments and construction companies should avoid this and are in conflict with international Conventions and legal arrangements. The E40 restauration is a direct threat to specially protected natural areas of national and international significance. The conditions for a large number of migratory birds, rare and endangered species, rare biotopes and natural landscapes are at risk. Furthermore, the human impact on rivers will increase, including high risk of spreading radioactive contamination from Chernobyl. The danger is that dredging works can disturb river mud in territories with radiation pollution, like in the Polesia Radioecological Reserve in Belarus. Consequently, the contamination would go down the rivers of Pripyat and Dnieper to the Kiev reservoir, which could have severe consequences for the safety of drinking water supply in Ukraine. The E40 restoration will thus not only negatively affect nature at a local level, but equally important on regional and even global level. Therefore, the European Wilderness Society fully supports the StopE40 campaign. The E40 is not the only river in Europe that is risking irreparable damages. In the so-called Blue Heart of Europe, the river systems in south-eastern Europe, governments planned 2 700 of hydropower plants. A dammed river has serious consequences for the plants and animals that depend on the river. Also in other countries, river constructions are damaging nature. In Romania the River Jiu is turned into a construction site. 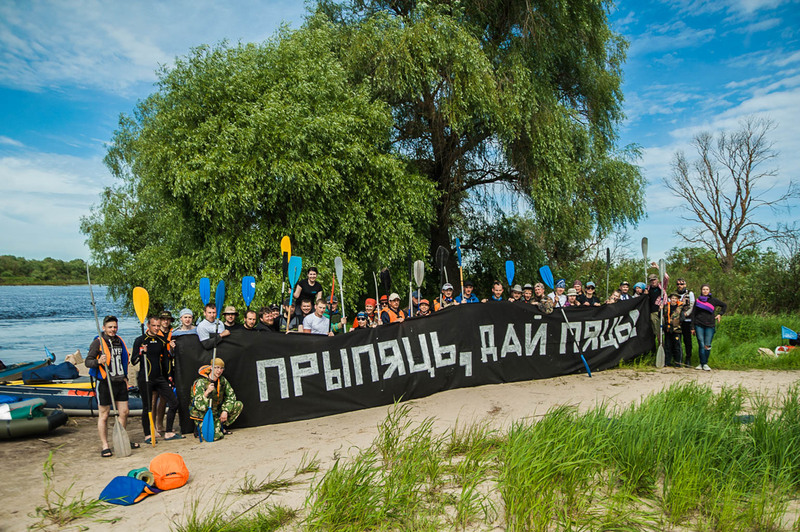 This way, Romania will stop it’s last free flowing river. The international coalition of NGO Bahna, PA Achova Ptushak Backaushchyny, NGO Ecohome, Green Network, Green Network, Center for Environmental Solutions, Fund For Clean Pripyat, and NGO Time of the Earth initiated the StopE40 campaign in July 2017. The petition launched in August, and our letter of support was presented in October. The petition has now reached over 15 000 signatures, but it needs more. Please sign the petition here and help to protect the valuable rivers. This post has been developed in cooperation with the international coalition. In the Czech Republic, there is many yers lastnig battle against planned channel connecting rivers Dunaj (Black Sea), Odra (Baltic Sea) and Labe (North Sea). Similar consequences, although Czech nature is not in such natural state.